Bold Base. 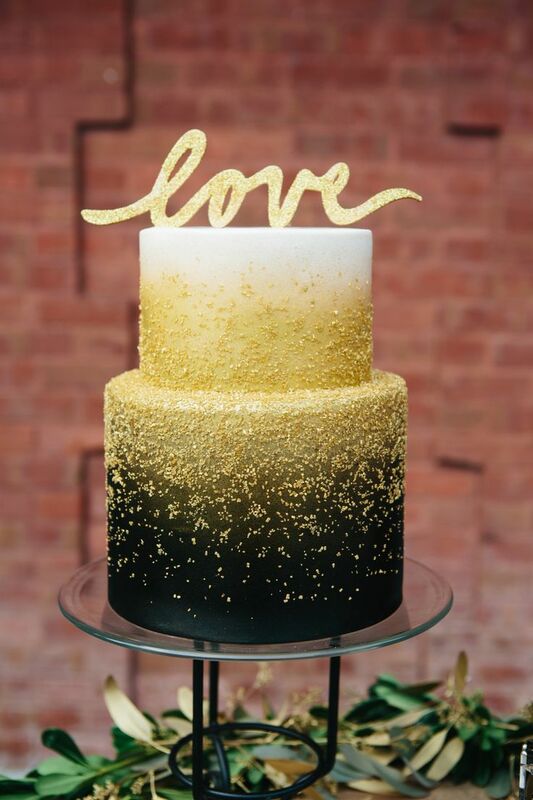 Why we like it: The fantastic use of texture, from the strokes in the frosting to the cinder-block riser. 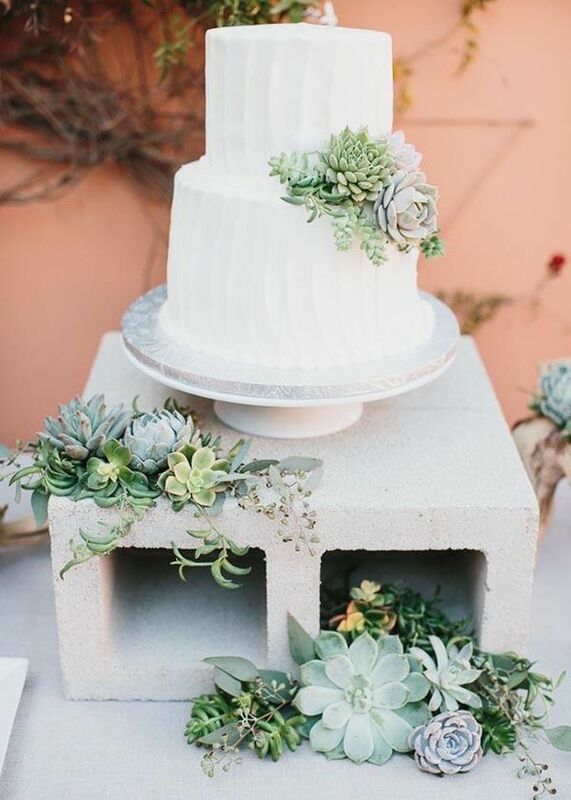 The soft buttercream accents expose the softer side of strong succulent plant. Partial-Frosting. 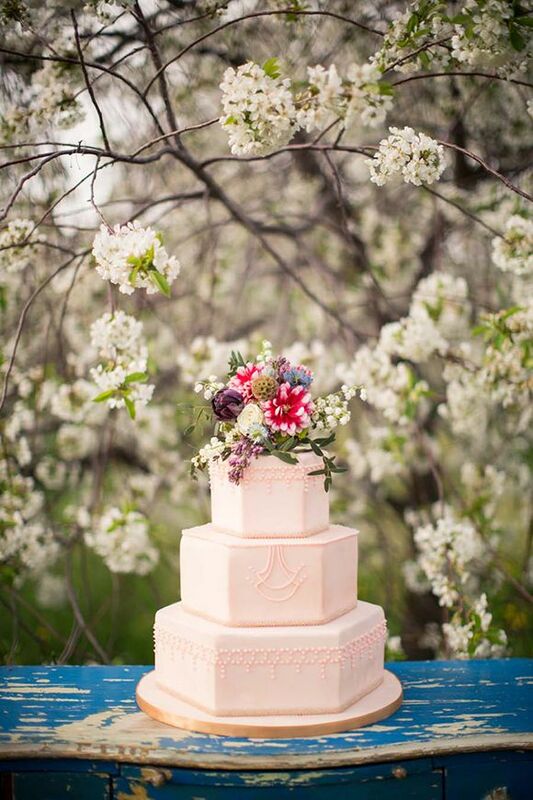 Why we like it: The jolly berry topping and exposed rim look amazing for summer or rustic weddings. With a smaller cake, you save some mulah yet still get the tradition of a cake cutting. Go for Dough Why we like it: Well first, how much cuter can you get? 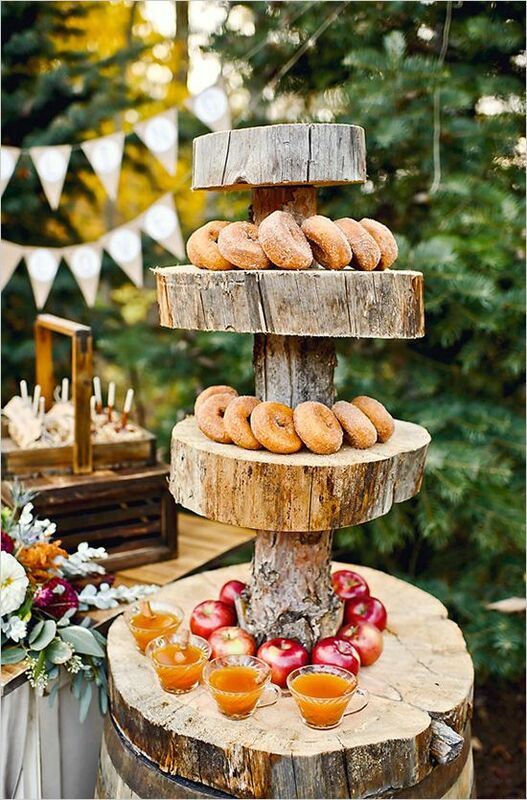 Doughnuts perfectly take the place of a cake slice but add design dimension to your dessert table. They allow for more flavor choices as well. Honeycomb Why we like it: The hexagon shape is super bohemian but leaves that trail of elegance hanging in the air. 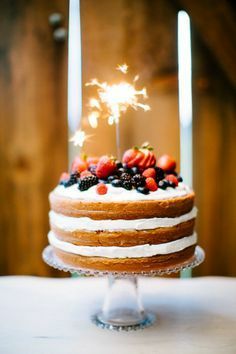 Your cake will appear larger just by adding some edge. Breakfast of Champs Why we like it: Serving breakfast at a sunrise ceremony is the rage! 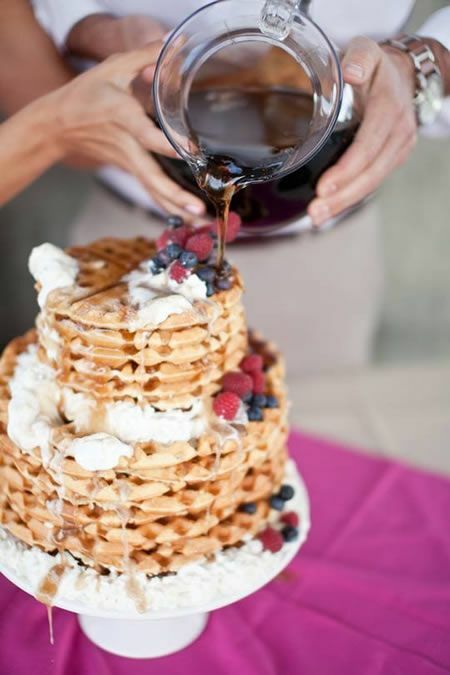 Go completely alternative with a stack of pancakes or Belgian waffles and a syrup pour instead of a cutting. 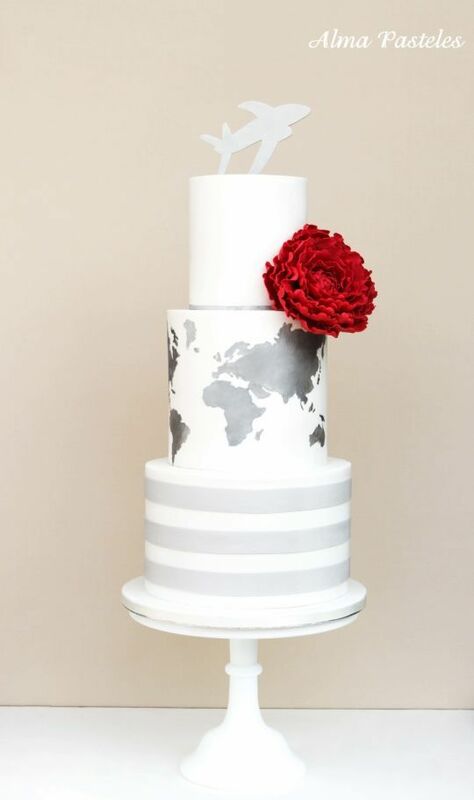 Delicate Deisgn Why we like it: for the jetsetters at heart, an elegant travel theme doesn't have to be kitchy. The silver map and bottom bands demand first class only.